The Second Edition in the collection, “Cobblestone Bridge”, presents a tranquil scene that is among Thomas Kinkade’s most beautiful images ever. Each plate in the edition is handcrafted on precious Heirloom Porcelain® to capture all the luminous detail and color of Thomas Kinkade’s original painting, completed in 2000 and an instant classic upon its release. 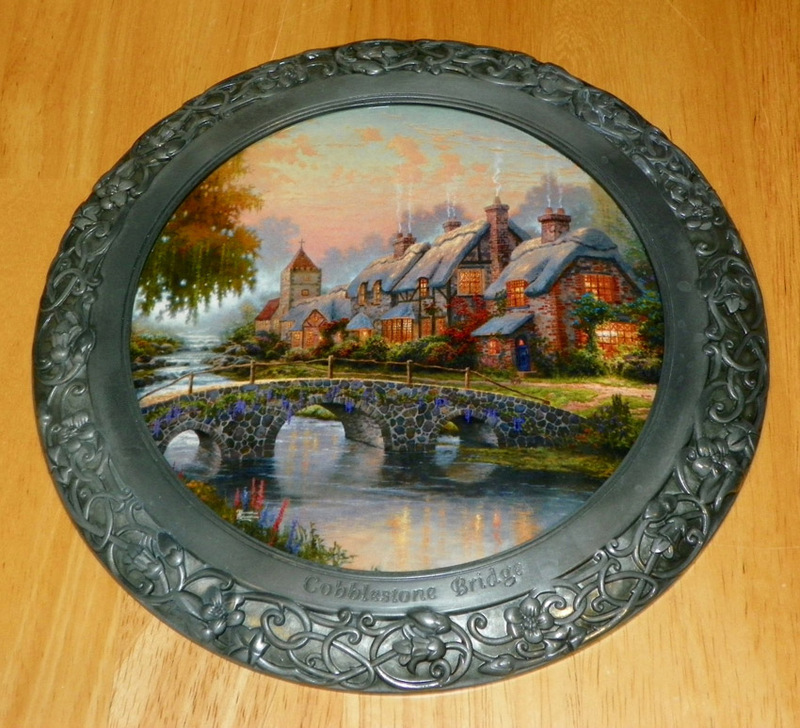 With a sleek, polished inner rim and a sculpted, trailing vine design inspired by Thomas Kinkade’s art around its outer edge, the genuine pewter frame surrounding “Cobblestone Bridge” is a work of art in itself. Inscribed with the edition title on the front, this silver-toned pewter provides heirloom-quality richness to the presentation.